In the Provincial Nominee Program, the immigration officials of British Columbia have conducted a draw on March 28, 2018. It has a Preference for technology occupations. 58 candidates received the invitation to apply here. The least score for the EE international graduates as well as skilled workers was 105 points. The score for the skilled worker and international graduate streams in the province was 100 points. There were no invitations for semi-skilled and entry-level workers. In the previous draw, 146 new candidates received the invitation to apply to submit an application in various streams. This draw happened on March 21, 2018, and did not have a technology draw in it. The least score for the EE international graduates as well as skilled workers was 105 points. The score for the skilled worker and international graduate streams in the province was 100 points. 60 points were required for a semi-skilled and entry-level worker. 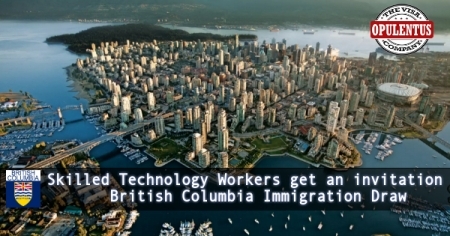 Also, the immigration authorities in British Columbia launched their Tech Pilot in 2017. It has the aim to attract skilled workers in 32 well-defined technology occupations. It has been conducting specific provincial draws for technology workers from May 2017. The change can be seen as the province is seeking to get benefit from international technology workers. Presently, they are searching for an alternative to the happenings in the USA after president Trump has assumed office. When a candidate is successful in getting the provincial nomination there is a guarantee of selection. It earns a place in the Express Entry system and adds 600 CRS points also. The PNP also publishes the score to ensure that the candidates are invited to various programs. The score which is needed by an international graduate is 30 points lower than a skilled worker. This is applicable in the provincial stream and also in Canada Express Entry. The score is again less for semi-skilled and entry-level workers.